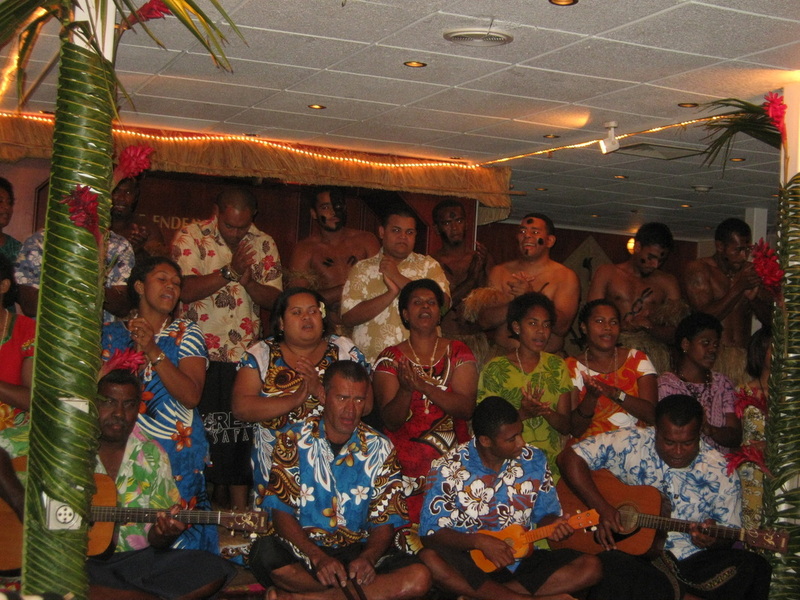 After many trips to Fiji, why do we keep going back? Is it to escape winter? But our main reason is Captain Cook Cruises. 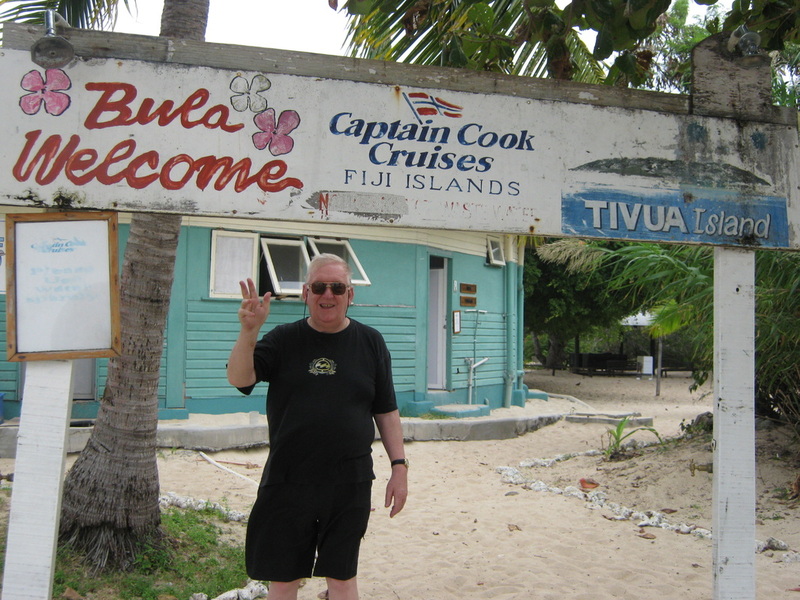 Over the years we have had the wonderful and rewarding pleasure of sailing with Captain Cook Cruises in Sydney, Queensland, South Australia and of course, Fiji. 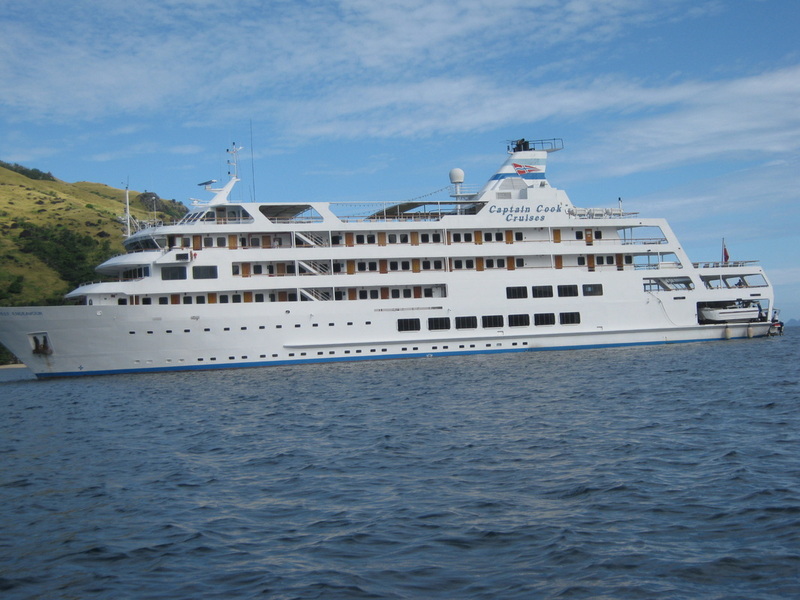 Now that they have introduced some new variations to their cruises in Fiji, well, why not return for another South Seas Adventure, all in the comfort and experience of the award winning small ship adventure cruise line. Our Air Pacific flight was smooth and comfortable. Pam, my sister-in-law, who up until now was a mature land and ship traveller, let it slip that this was her first time in an aeroplane. The Air Pacific in-flight crew really made sure that all passengers were royally treated. In a few short hours there was a small thump as we landed in Nadi and a once nervous traveller couldn’t believe what all the fuss about flying was about – Look out for the frequent flier points! We took the Captain Cook advice and stayed at the Novotel Nadi for a few days before our cruise. And with the usual standard we expect at any Accor property, it was a very wise choice. The Novotel Nadi is only a few minutes from the airport, with free transfers for guests and a very short taxi ride to the main shopping precinct, a great place to find some bargains. The Captain Cook Cruise bus is on time to pick up from the hotel and it is an excited group as we head for the Port. Our luggage is taken care of and all we had to do was confirm our presence and wait for the transfer to the ship. As the Reef Endeavour is a larger ship, it moors out in the channel and it makes a pretty picture as we approach. The tender parks on the hydraulic lift on the stern and we are gently lifted from the water and walk onto the deck. 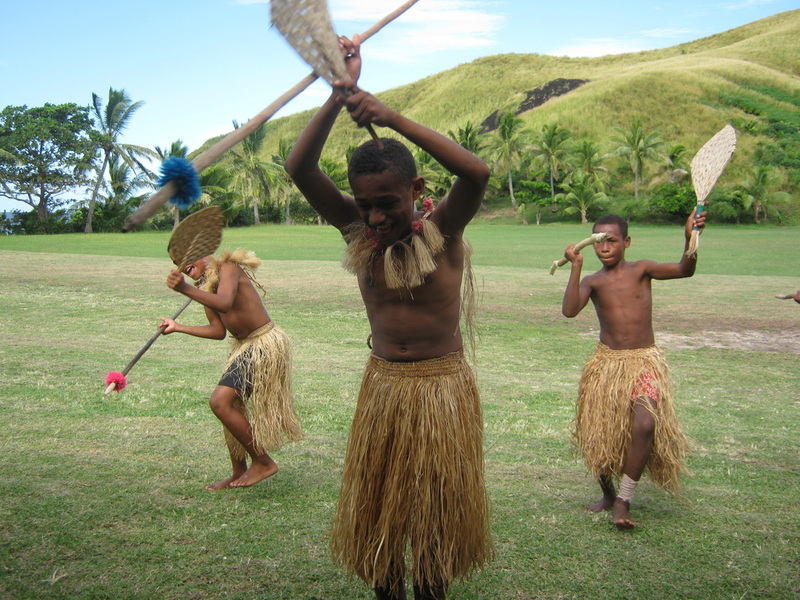 Another Bula Welcome by the crew only helps to raise the excitement level. The Captain presents a moving ‘Welcome Onboard’ speech as we enjoy a cocktail, then we are shown to our cabins and waiting luggage. It would be easy to fill many pages with all the little details of life onboard the Reef Endeavour, such is the crew’s attention to detail. From remembering your name and your drink of preference, to being so polite and attentive in making sure that your cruise is a total pleasure. The ship has recently been refurbished and was in fine shape. From the dining room to the cocktail bar and lounge, to the large pool area and the various sun decks. The enclosed library and lookout lounge and up to the top deck with its very spacious covered and open BBQ, bar and seating area, all next to the outdoor spa’s and a new gym. To me it is almost perfect. Accommodation is a selection of Suites and Staterooms, we chose the Tabua Suite which was originally two Staterooms, now converted to a two room suite, with ‘his’ and ‘hers’ bathrooms. All cabins are very well appointed and comfortable, and I know that a lot of travellers look for this high standard. But the real fact is that on this wonderful voyage of discovery, that the only time you are in your cabin is to sleep, shower and to change clothes. Amongst the many highlights are the meals, from breakfast to lunch, to the wonderful evening feasts. Some meals are taken ashore and prepared by the crew for an island feast on the beach. One statement is true ‘Nobody has ever left the festive board feeling hungry on a Captain Cook Cruise’. 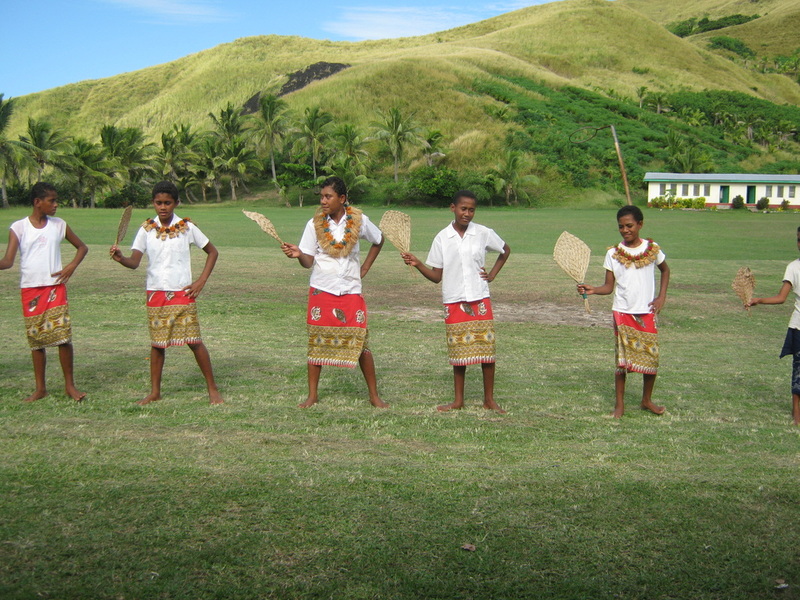 The most popular of these were the visits to the island schools. The children are born entertainers and we were delighted by their performances of singing and dancing, followed by an inspection of their classrooms and their schoolwork. 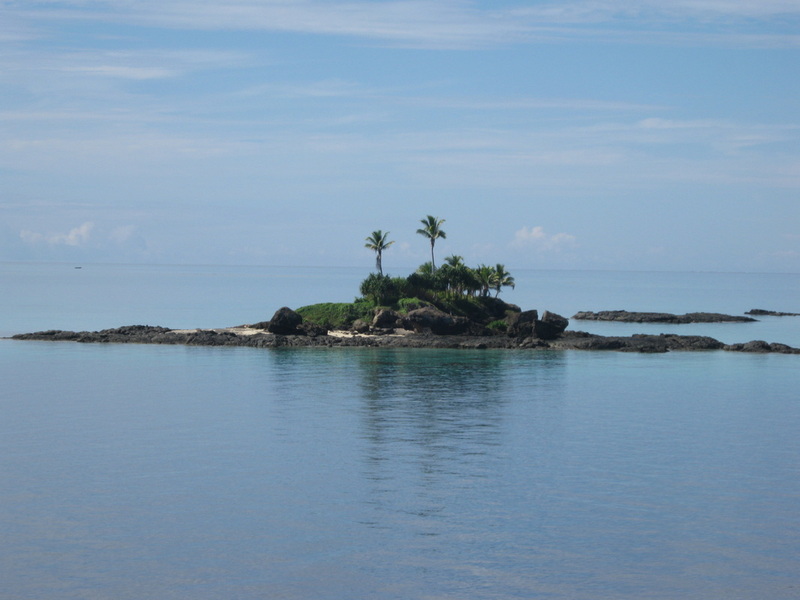 Other islands are for swimming and snorkelling on ‘post card’ tropical beaches. The coral viewing from the glass bottomed boat opens another world for many. On board are fully qualified diving instructors, who will not only instruct and assist those who are not too used to snorkelling, but also arrange an introductory scuba dive for novices and take qualified divers for a Fijian adventure. See our diving report. 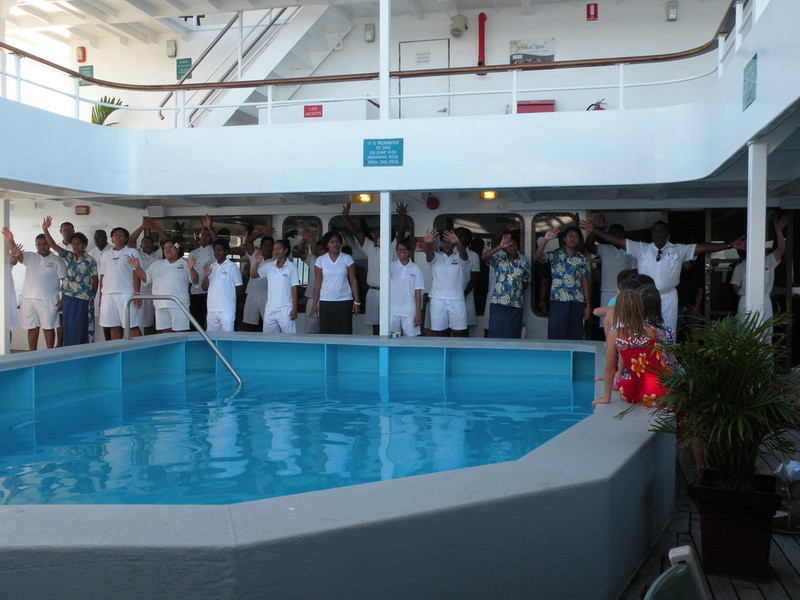 On a Captain Cook Cruise you begin as strangers with a common interest. Within days you are all friends. By the end you are all family and the tears the crew shed, as they farewell you with song are real. They are just so happy to have shown you a small part of their country and culture and are hopeful that you have enjoyed it so much, that you will return.